Beware Rabies Vaccination: 10 Things You Need to Know! Many people never think twice about giving their animals whatever vaccinations their vet tells them to get whenever they are told to do so… but there are many dangers in giving vaccinations! An extraordinary number of pets suffer severe reactions, ranging from life-threatening to long-term, chronic degenerative diseases. The few minutes you take out of your day to listen and learn could save about this important issue could save you and your pet much misery, and may even help save their life. I’m talking with Jan Rasmusen, the national award-winning author of Scared Poopless: The Straight Scoop on Dog Care. Jan shares her deeply personal story, the experiences that led her to write her awesome book. And we discuss the dangers of the Rabies vaccine specifically as well as other current vaccination issues and concerns.ve severe reactions, ranging from life-threatening to long-term, chronic degenerative diseases. Be your animal’s best friend and educate yourself about this critically important issue now. Be sure to leave us a comment about the show! Did you know that the negative effects of vaccination can cause behavior problems as well as health issues? If you are ready for things to change for the better, then this is for you. 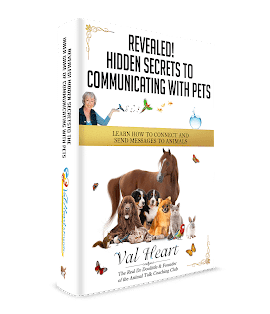 Click here and check out all my intensive healing and powerful programs designed especially for badly behaved pets and their worried, frustrated parents! I’m so glad this information is coming out now. It is long overdue imho. I am totally against vaccinations of any kind. I feel they do more harm than good. I grew up in a metaphysical home (no doctors, medicine, etc. ), so I never got any myself, and do not do to my animal companions what I don’t do to myself. I use alternative health modalities for all of us, and we’re all pretty healthy, overall. Thank you for sharing this!